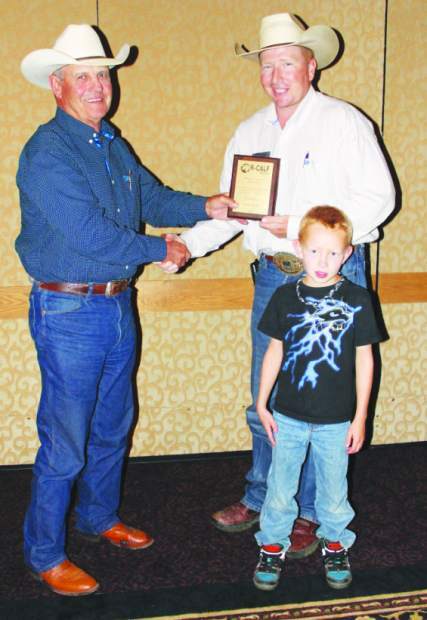 Montana rancher Jack Owen said the R-CALF USA convention didn't include many arguments. Most of the ranchers in attendance were in agreement on the issues at hand. "We discussed the misuse of the beef check off quite a bit. The main policy issue we discussed was the lawsuit filed against COOL and how we would deal with that. Our directors decided to go forward with an intervening lawsuit opposing the NCBA and AMI and the other organizations in the joint lawsuit against COOL." Owen said there was very little, if any, opposition to the plans for an intervening lawsuit. R-CALF USA policy on the check off calls for a mandatory upr or down vote by cattle owners every five years, Owen said. Owen said several speakers were memorable. One was Clive Bundy, a Nevada rancher who spoke about landowners' rights on public lands. 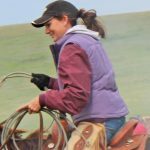 "He mostly wants us to aware that we don't always have to bend to new rules, regulations and livestock quotos handed down from the land management agencies," Owen said. "Bundy has pretty much staged a one-man resistance to some of the new BLM policies down there in his home territory." Another speaker Owen enjoyed was Sheriff Richard Mack from Arizona. "He and two other sheriffs took the Brady Bill all the way to the Supreme Court and won," Owen said. "He discussed ways we can work through our county sheriffs to deal with overreaching federal laws. He was probably the most popular speaker there." Owen mentioned that the Sheriff's presentation was useful not only to cattle producers but to anyone concerned with "big government in their lives." Brian O' Shaughnessy was another of Owen's favorite speakers. Shaugnessy is the Chairman of Revere Copper Products and served as President and CEO for almost twenty years until the end of 2007. His company was founded in 1801 by Paul Revere and may be the oldest manufacturing company in America. Revere does not make pots and pans anymore but makes copper and brass sheet, strip and coil as well as extruded products for shipment to other manufacturing companies, according to the speaker's bio. "Shaughnessy has been involved quite a bit with this issue of outsourcing of American industry. He is working to do whatever he can do to try and keep the manufacturing base the jobs in our country. A certain amount of that is what we face too in our business – with the global companies that want to use our product for profit. I guess my feeling, and I think many of us share this, is that the importation of inferior (beef and cattle) products into our country and the exportation of superior product might not be the best thing for our consumers," Owen said, adding that Shaugnessy spoke about the priority that's been placed on international trade over independent producers and workers. He also discussed the union of the politicians with big multinational companies. "It is not healthy for America, the America as we loved it," said Owen. According to Owen, R-CALF USA members gathered pre-convention to honor the memory of one of their most beloved patriots, Fort Pierre Livestock's Johnny Smith, a past director and supporter of the organization. "Johnny's brother spoke and said that he himself donates $10 per head to R-CALF USA every time he sells cattle." Joel Gill, another dedicated board member that R-CALF USA lost too soon was also honored at the convention, Owen recalls. "No one person will be able to fill that void, it will take at least two or three," said Owen.